Members of the Headliner team celebrate their win at Startup Weekend@FIU. They went on to compete in the Global Startup Battle, with their app, which enables users to crowdfund for the bands of their choice. A team of FIU students that wants to change the way fans, musicians and venues connect has launched its idea on the world scene, competing for a chance to win recognition – and support – from top leaders in the tech world like Google, YouTube and Hootsuite. Headliner – an online platform designed to enable users to crowdfund for the bands of their choice – took a $500 first prize at the university’s first-ever Startup Weekend event last month and is now part of a global competition involving thousands of would-be entrepreneurs. The Headliner team – comprised of students in computer science, finance, marketing and public relations – posted a 90-second video on the GSB site, outlining their plans and the concept of the app, which they say will “disrupt” the music industry by allowing fans to connect directly with artists and venues. Teams in the global startup challenge garner votes by sharing their video via social media and encouraging family, friends and co-workers to vote. In addition to online voting, industry judges review and score the submissions. All of the prizes – including branded swag, free workspace, web hosting and consulting services from major industry players like Google, We Work, YouTube and Hootsuite – are designed to help startups get off the ground. Even if Headliner doesn’t nab the global championship, the team will have plenty of help from FIU. 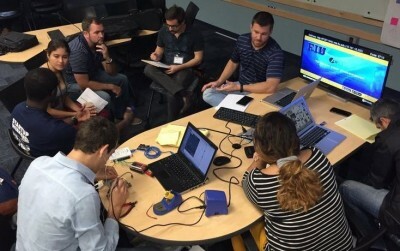 Brown and others at the university have committed to helping FIU students who participated in Startup Weekend Miami – and who continue to work toward a launch. During Startup Weekend@FIU, 88 participants competed in 16 teams, working for three days to create, pitch and launch their startup ideas. More than 200 people – developers, designers, coders, investors and entrepreneurs – attended the three-day event, held at the university’s $3 million innovation hub, Tech Station. After a trip to New York with other students from the Chaplin School of Hospitality and Tourism Management, Leira Fombrun and Marina Boulanger came up with the idea for an app that would allow users to tip for service – without having to carry cash. 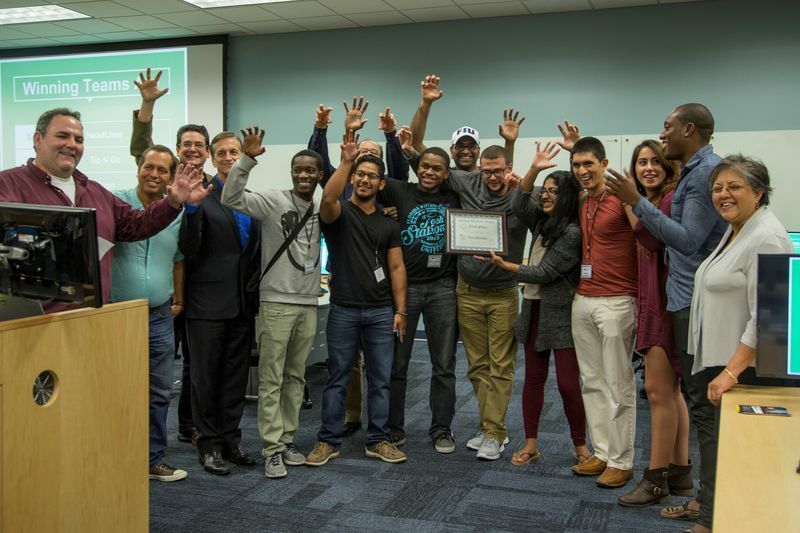 Second place was awarded to Tip N Go, an app that enables users to tip without having to carry cash, during Startup Weekend@FIU. Thus, the idea for Tip N’ Go was born, eventually taking second place at Startup Weekend. The team is now working to get the idea patented, as well as identify investors and developers. Third place at Startup Weekend went to a social platform for soccer enthusiasts called XOGO. Alumnus Juan Gomez said he came up with the idea when he tried to use existing platforms like Meetup and SportsBuddy to find fellow soccer players quickly and easily. 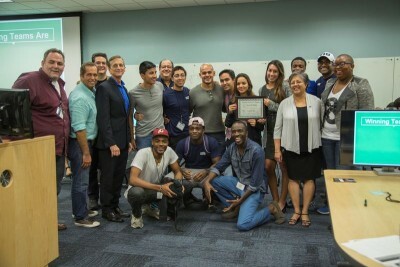 FIU Vice President for Engagement Saif Y. Ishoof, who helped organize Startup Weekend, said all of the teams embodied the spirit of successful startups – innovation and hard work.